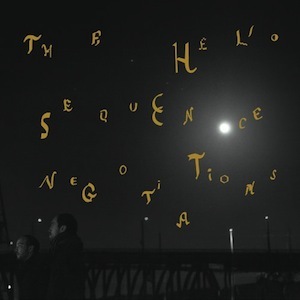 Negotiations, the fifth full length album from The Helio Sequence is a tremendous contender for this year’s “album we spun the most, yet didn’t receive the attention it deserved from music fans” award. We believe that music is coming out so fast these days it’s more of a pain in the rear to keep up on weekly releases than it is to sit and marinate on an album for awhile. But if you’re looking for that record, Negotiations should be right up your alley. Eleven songs were carefully crafted in the making of Negotiations that manage to individually carry their own weight. Band members, Brandon Summers and Benjamin Weikel, took their sweet time in putting this album out and it shows. From tender ballads like “Harvester of Souls” to light night dancey jams like “Downward Spiral” this record fails to deliver a song we’d like to skip. It’s surprising that The Helio Sequence even recorded another album at all, considering they lost most of their gear in 2009 due to a flood in Portland, where all of it was stored. Using a “free form” approach; moving away from writing lyrics beforehand and instead doing it all on the fly, Summers and Weikel invested more than just their time on this record and it’s apparent. Their hard work and determination to pour out their emotions and feelings so beautifully on tape should not go unheard.